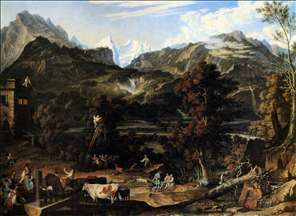 Austrian painter, active mainly in Rome, where he settled in 1795. 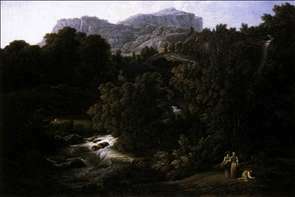 He was influenced by Carstens and worked with the Nazarenes on the decorations of the Casino Massimo (1825-29) in Rome, choosing Dante s Inferno for his subject, but is now best known for his landscapes. 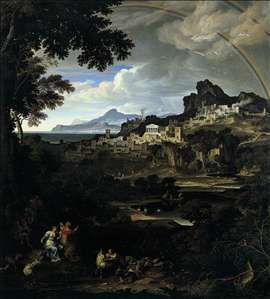 They were directly descended from the heroic and ideal landscape of Poussin, but have a distinctive Romantic flavour, particularly in his paintings of mountains. 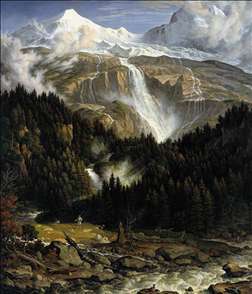 See more details about "Heroic Landscape with Rainbow"
See more details about "Mountain Scene"
See more details about "The Upland near Bern"
See more details about "The Schmadribach Falls"